Indian Railways is one of the World's biggest railway network service. 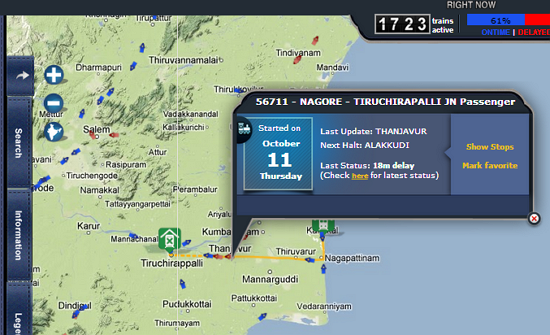 Now you can check current location of Indian trains by using Google map. 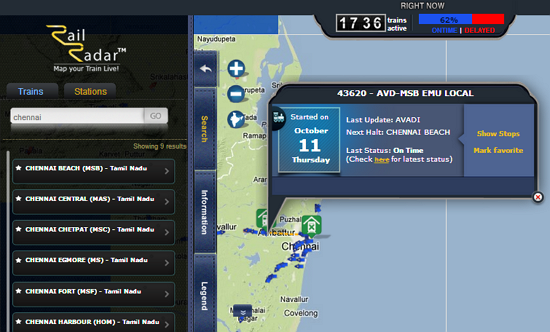 Indian Railways yesterday launched a new application called Rail Radar to know trains current location via Google map. 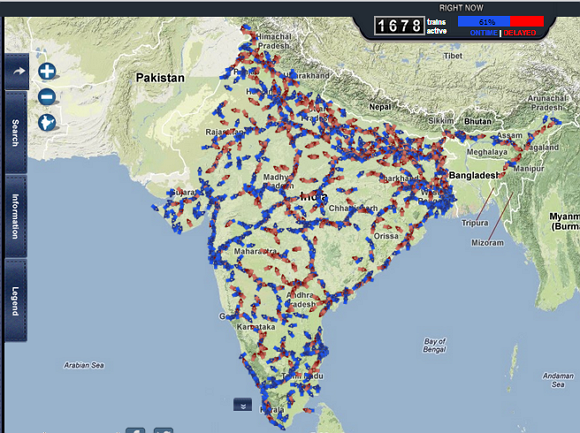 This app offers details for total 6500 passenger trains out of 10,000 trains operated by Indian Railways. This app service also available on mobile phones thorough internet. This app refreshed details for every 5 minutes. To get train details zoom in and click on train to get current status or you can search trains by giving train name or train number. And the beauty is this app offers local unit train details too (But not sure it is right).